Don't forget to check your TPT inbox today at 5:00 PM EST for entry to win a TPT Gift Card $$!! 1. Be a FOLLOWER of my TPT Store CLICK HERE. 2. 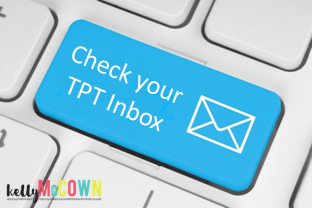 Check your TPT Inbox today for entry!